Our team consists of individuals across all parts of the MIT campus, and is supported by an accomplished advisory board. 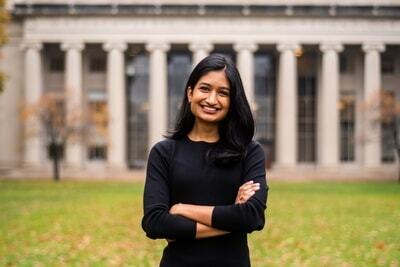 Aditi is a PhD Candidate in Medical Engineering & Medical Physics in the Harvard-MIT Health Sciences & Technology program. 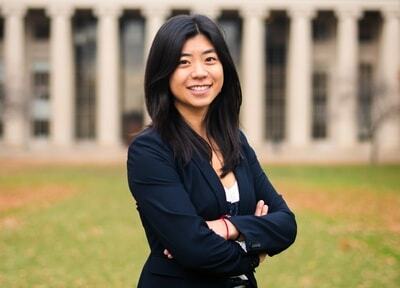 Her research, done with the Human Systems Lab in MIT AeroAstro, focuses on human-exoskeleton adaptation. She is passionate about human-centered design and spends her spare time advocating and working on issues of representation, diversity & equity in STEM. 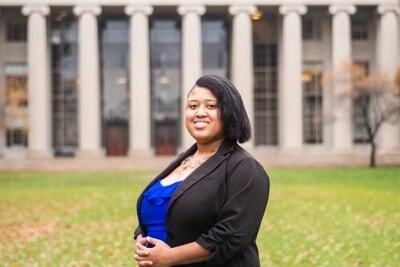 She hopes to one day apply her knowledge and skills to tackling issues of social justice around the world. She hails from Southern California and remains grounded through photography, travel, dance, and spending time in the outdoors with friends and family. Kiran is from Edison, NJ and is currently based in Cambridge. She's a candidate of the Masters in Design Engineering, an interdisciplinary program offered by Harvard's Graduate School of Design and School of Engineering and Applied Sciences. She's also a recent MIT'17 graduate, having studied Computer Science and Architecture. She is a strong proponent of interdisciplinary approaches to complex programs. Her belief is that good product design requires attention to three core values – empathy, innovation and elegance. In developing startups and large corporations, attention to these details and their broader systemic impacts is key. She's excited to see how tech continues to grow. MJ is a Ph.D Candidate in Medical Engineering and Medical Physics at the Harvard-MIT Health Science and Technology Program. 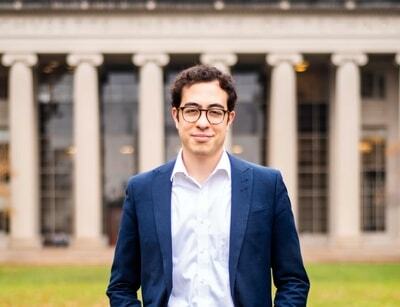 Born and raised in Corsica, France, he completed his undergraduate and graduate studies in mechanical and industrial engineering at Arts & Métiers ParisTech, he then pursued a M.Sc in biomedical engineering at the Imperial College London building a 3d printed prosthetic hand, and learned neurosciences while studying neuronal dysfunction in a new animal model of Huntington’s Disease. He is currently completing his Ph.D research in Polina Anikeeva's lab where he is working on the development of polymer fibers for multimodal neural recording and stimulation. Outside engineering and neurosciences, he enjoys to travel the world, rock climbing and cooking. Sarah is a Ph.D. candidate in the Laboratory for Information and Decision Systems of the Electrical Engineering and Computer Science Department at MIT. 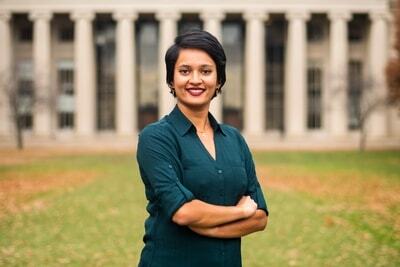 She completed her undergraduate degree in mechanical engineering at Princeton University then spent two years pursuing a master’s in robotics and mobile autonomy at the University of Oxford. Driven by curiosity, she has explored various fields, from space and software engineering to sociology and journalism. Motivated by empathy, she draws inspiration from social systems both among humans and in nature. In studying statistical inference and machine learning, she seeks to focus her attention on the transition from technological explainability to innovation. 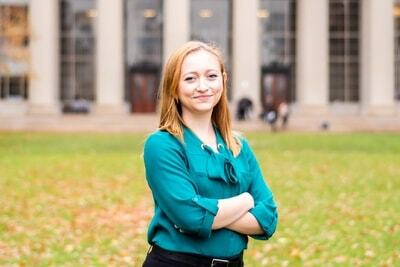 Jenna is a PhD Student in Brain & Cognitive Sciences at MIT. 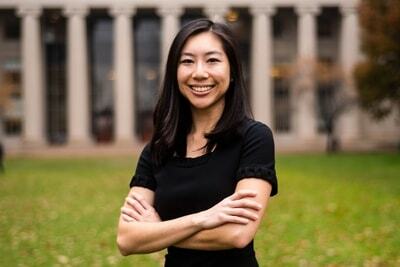 As Neurobiological Engineering Training Program Fellow and member of Ed Boyden's Synthetic Neurobiology Group, she is passionate about her research developing and applying technology for understanding and diagnosing the neurodegenerative brain. Outside of GSW, Jenna is director of the Entrepreneurship Initiative of the MIT Biotech Group, and is involved in leading other initatives on campus and around the world geared towards the confluence of biotech, entrepreneurship, equality in STEM, and social/educational impact. In her spare time, Jenna loves running, sailing, cooking and traveling. 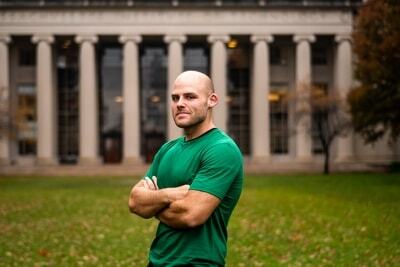 Seamus is originally from Nanuet, NY and is now currently based in Cambridge, MA. He is a graduate student in the Aeronautical and Astronautical Engineering department at MIT, working under Dr. Leia Stirling on research related to spacesuit performance. He received his BS in Aerospace Engineering from SUNY Buffalo in 2018 and has previously interned throughout the aerospace engineering industry at Millennium Space Systems, SpaceX, and NASA. In addition to his passion for space exploration, Seamus is also involved in politics as the Vice President of MIT Democrats and a member of MITvote. 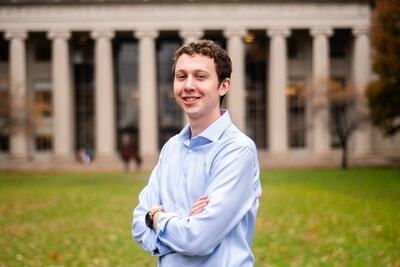 Outside of MIT Seamus enjoys playing guitar with his family and doing freelance logo design. Tom is Senior Program Manager at the MIT Innovation Initiative, a cross-school effort to strengthen and promote innovation and entrepreneurship at MIT. He works with a diverse team of faculty, staff, and students to develop and implement new pathways for the MIT community to move powerful ideas from conception to impact. His prior professional experience includes roles with the MIT Skoltech Initiative and the Carnegie Endowment in Moscow, where he studied the role of innovation clusters in economic and political development. 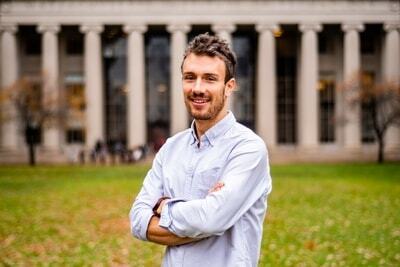 Christophe is concluding his Ph.D. at the University of Zurich in Bioengineering, while doing most of his research at the Disease Biophysics Group at Harvard University. He grew up in Geneva, Switzerland and completed his BS and MA in mechanical engineering at the Swiss Institutes of Technology Lausanne and Zurich, respectively. His principal area of research is in designing novel materials for regenerative medicine applications, and is currently investigating opportunities to bring these products to the clinic. Outside of work, Christophe loves traveling, rock climbing, and reading. 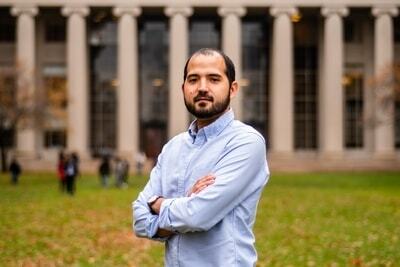 Industrial Engineer @ ITBA and MBA @ MIT. Specialized on Product Management, Analytics and Business Strategy on digital platforms. Maya is a first year graduate student in the Aerospace Engineering department at MIT, working with Dr. Jeffrey Hoffman on the Mars Oxygen ISRU Experiment (MOXIE) for NASA Jet Propulsion Lab’s Mars 2020 rover mission. 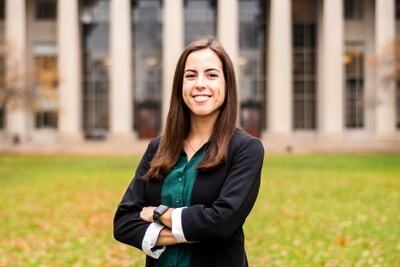 A native of Lebanon, Maya received her BS in Aerospace Engineering from MIT in 2018. She has previously worked on several projects including NASA’s Cassini mission activity on Titan and NASA’s New Frontiers Saturn Probe mission. She was also one of the leads in the MIT Global Startup Labs (GSL) program in Peru in summer 2018. 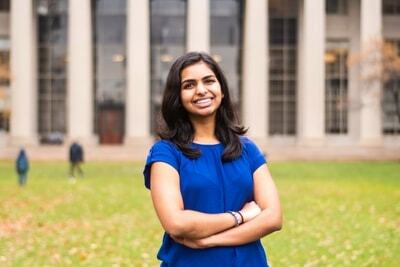 Outside of MIT, Maya loves traveling around the world and writing Arabic poetry. 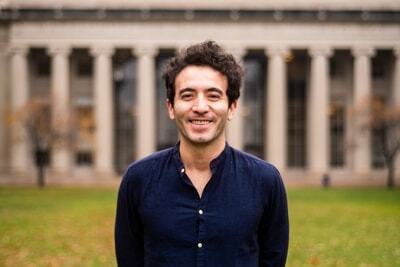 Santiago is dual degree student at MIT (MBA) and Harvard (MPA) and holds an Engineering degree from Universidad de Los Andes. 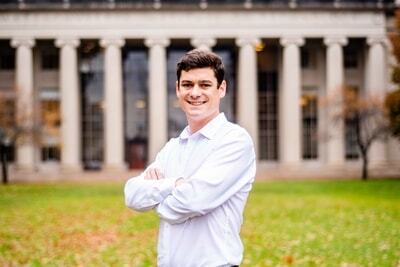 He previously worked at Acumen, a pioneering impact investing fund, launching its operations in Latin America. Most recently, Santiago interned at The Engine and Amazon. Lena is from Easton, Massachusetts and is a first year graduate student in the aerospace engineering department at MIT. She is also a Draper Fellow, working on her research collaboratively with both Ted Steiner of Draper Labs and Jon How of MIT’s Aerospace Controls Lab. Lena is researching terrain relative navigation in GPS-denied environments. She completed her undergraduate education at the University of New Hampshire’s mechanical engineering department in May of 2018. As an undergraduate, Lena was heavily involved in UNH’s Engineers Without Borders chapter, traveling with the team to implement a water filtration system in San Pedro de Casta, Peru and serving as the chapter secretary. Lena loves running, cooking and listening to podcasts. Kyle is a design researcher in the department of architecture at MIT and currently works within the MIT Self-Assembly Lab. He has worked as a designer for the Garage Museum of Contemporary Art in Moscow Russia, as an architect for His Highness Sheikh Hamdan, The Crown Prince of Dubai, and as a project manager in Shanghai China. He has a Bachelor of Architecture from the Southern California Institute of Architecture and has studied at Universität für angewandte Kunst Wien in Austria. His work has been exhibited at the Venice Biennale in Italy, The Victoria & Albert Museum in London, The Royal Danish Academy of Fine Arts in Denmark and the Pompidou Center in Paris. Pramoda is a third year undergraduate student studying Computer Science and Engineering at MIT. 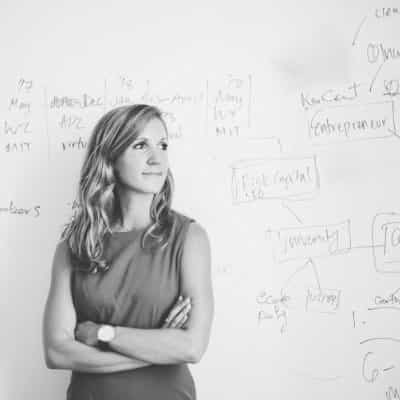 She has an interest in the intersection of computer science and human-computer interaction as well as medical technology, assistive technology, and international development. Pramoda is also interested in entrepreneurship and one day hopes to pursue her own venture. 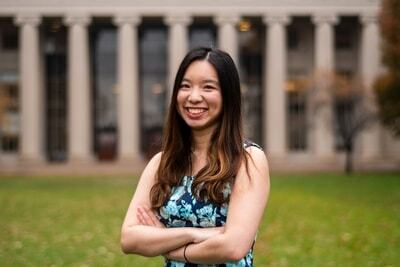 She has previously interned at Apple and Brain Power and performed research at MIT Media Lab and CSAIL. 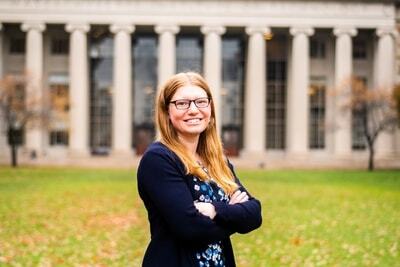 Rachel is a 1st year graduate student in Medical Engineering and Medical Physics at the Harvard-MIT Health Science and Technology Program and is also a Draper Fellow. She is from Exeter, RI and completed her undergraduate degree from the University of Rhode Island. Broadly, she is interested in assistive devices, neuroengineering, and biomechanics. Through the Bioastronautics Training Program, she hopes to work with assistive technologies that are applicable in both space applications and medical applications on Earth. J is an undergraduate studying biology and has primarily worked in cancer research labs across the US and in Berlin. They are interested in entrepreneurship and innovation at the intersections of biotech and edtech. They are passionate about social justice and equality. J hopes to found a startup in the future that has a positive impact on marginalized populations around the globe. Don't miss any news about MIT GSW 2019. Subscribe to our newsletter. We promise we won't spam you. The conference website is currently under development. Check back in soon! Copyright ©2011–2019 Massachusetts Institute of Technology. All rights reserved.